You know, there is some really great game music out there. Really memorable stuff that can instantly transport you to a different state of mind. Here’s the thing though. While talking with some fellow game devs the other night, we got onto the topic of old 8-bit / 16-bit era chiptunes and how great we thought they are. Then, we started talking about how, despite all the iconic tunes we could remember from that era, we couldn’t think of nearly as many great examples of video game music from more recent games. That got me wondering. Why did we have so many fond feelings for the game music of yesterday, but not nearly as much for the music of today’s games? Is it just nostalgia at work, or is there something else at play? Well, to be honest, it could just be nostalgia, right? As a general rule, many people stop listening to new music as they leave their 20’s, forever crystalizing the songs of their teens as the apex of their musical world. 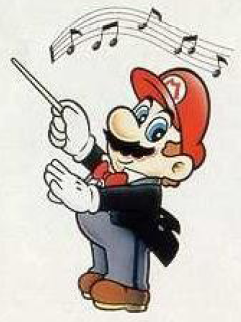 As a member of a generation that grew up with the NES and Super NES, does that mean that no new game music can compete with songs of my 8-bit past? To be fair to Amagon, it has a few catchy tunes in there, But they’re not great by any measure and that’s why they’re mostly forgotten. When we compare current game soundtracks to our favorites of the past, we are often comparing both the average and the potentially great of the present against the truly great of the past. Of course, generational bias can explain all the differences away. There are also significant technical aspects to creating game music that actually give the 8-bit era and edge in terms of creating memorable tunes. Even with specialized sound hardware like that found in the Super NES, chiptune composers were still significantly constrained in terms of the ways they could combine sounds. In many cases, they were lucky if they could play 4 voices simultaneously which meant that they had to be very efficient in where they focused their composing efforts. Without a solid, hummable melody line, a chiptune would be nothing but context-less sound. A square-wave can only really sound like a timpani if there’s a melody around helping to establish it as part of the music. Modern games, on the other hand, have the full suite of sound available to them that had previously only been the realm of TV and movies. This works to their advantage in allowing them to create full, swelling orchestral soundtracks to go with their games but also costs them some of the more poppy, melody-driven sensibilities of the 8-bit era. It’s also worth remembering that, as the cost of making games has gone up, so has the cost of making game music. When watching this series of videos on GameTrailers about the creation of the soundtracks for the Mass Effect series, I was struck by composer Jack Wall’s comments about how tight their production schedule was. It takes a lot of time to make good music and even a multi-year project may have trouble getting it done in time. Compounding this is the tendency of a lot of video game productions to handle audio as an afterthought relative to programming and graphics. Add to this that a lot of game devs to underestimate the time needed to make great music and it’s little surprise that a lot of game soundtracks don’t live up to their full potential. You know, making memorable music for games is hard. It’s probably only gotten harder as game technology has become more advanced. It can be done though. That being said, it is kind of telling that the only music I remember after finishing Deus Ex: Human Revolution are the piece from the trailer and the re-hash of the original Deus Ex theme they played after the credits. This entry was posted in Game Development by Rob. Bookmark the permalink.